New guided meditation by Max Highstein focuses on turning the feeling of hopelessness around. Author claims its "magic". SANTA FE, N.M. - March 31, 2016 - PRLog -- When life gets grim, and stays grim for a while, it's not unusual to begin to loose hope. Once that feeling sets in, it can become hard to turn around. In fact, if we've been feeling hopeless for long enough, we can forget what hope even feels like. Guided imagery author, and owner of the popular website The Healing Waterfall addresses that issue in his latest guided meditation, Finding Hope (It's Time For A New Beginning). This unusual program takes the form of a story, in which we're searching for an old friend, named Hope, in a town in the midwestern US, called "New Hope". When the word associations and metaphors in this guided meditation find their way into us, something magical occurs. In fact, the website's product page includes a note from the author, in which he talks about guided imagery as a form of magic: "I make guided meditation programs like this one as my own kind of magic potion. The ingredients I include -- words, imagery, sounds, music, a certain tone of voice -- are all chosen to have a specific kind of effect on you, the listener. I want to help you break free, look up, and feel better about yourself and your life. I'm doing magic to help you get unstuck." 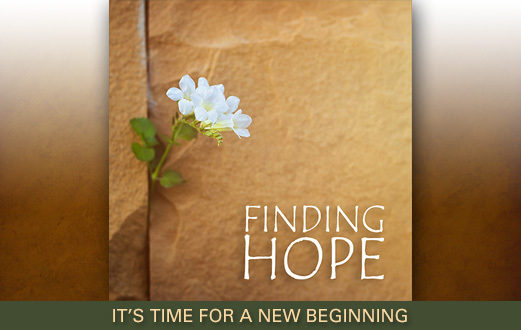 Finding Hope is just one of many programs offered by the author under the category of Emotional Healing. That's one of several subcategories, of the category called Personal Growth and Recovery. Relationships, Fear, Anger, Sadness, Self Esteem, Personal Fulfillment, and "Attitude Adjustment" are all covered. Other main categories include Deep Relaxation and Healing, Learning to Meditate, Spirituality, and more. All the guided meditations feature Highstein's own voice, or the voice of professional narrators he has hired over the years to read his scripts. Background music is sourced from his own compositions. Max Highstein is actually an accomplished composer as well, with a considerable catalog of material in the New Age music category. To hear a sample and learn more, find "Finding Hope" at http://www.guidedimagerydownloads.com/product/finding-hope/, along with scores of other programs at The Healing Waterfall website: http://www.guidedimagerydownloads.com. Are You A Spiritual Creative? Orange County, CA Workshop For Those Who Say "Yes!"